Looking for StealthGenie alternatives? Here are 5 proposals for you today. I bet you will most likely find a perfect alternative from the list. StealthGenie is a mobile spy app that be used to spy/ monitor activities from any smartphone such as phone calls, SMS, GPS location, emails, instant messengers such as Whatsapp, BBM, WeChat etc, and even listen to surrounding sound etc. According to an earlier review published on this blog, StealthGenie is useful for spying on your children and employees. You can get your way into any smartphone with StealthGenie, listen to their phone calls, read their text messages, track their locations at all times, read their chats such as Whatsapp, BBM, WeChat and even listen to their surrounding noise even without touching their phones always. But StealthGenie is not the only spy app out there, today I have decided to look at 5 other mobile spy apps to decide which does the monitoring and spy job better. 5 StealthGenie Alternatives – Who makes my list? People are often worried about what their kids do, sometimes you get tempted to touch your kids phone to know what they are up to, who they are talking to, what they do when they spend time on their phones, who calls them and who they chat with etc. Well you don’t have to wait for an opportunity to quickly access their phones anymore. You can comfortably access their phones any time any where even without touching their phones. You can monitor their activities from your computer using any of these mobile spy apps. Mobile Spy is one of the best StealthGenie alternatives out there that is worth making my list. This app allows you to monitor practically any aspect of a smartphone. Notable features include spy camera, audio recording, text message reports, contact details, Whatsapp report, picture gallery, social media monitoring, GPS location etc. This app uploads all the activities it gathers from the target smartphone to the Mobile-Spy’s server and you can then access the report from any computer anywhere, anytime. The mobile Spy app is compatible with android, iPhone, Blackberry, Windows Mobile and even Symbian OSes. Price: $50 – $140 (based on package and duration). MSpy is yet another awesome StealthGenie alternative that is worth making it to my list. This mobile spying app works similar to the other spy apps listed above. Simply install it on any target smartphone and access the gathered data remotely. 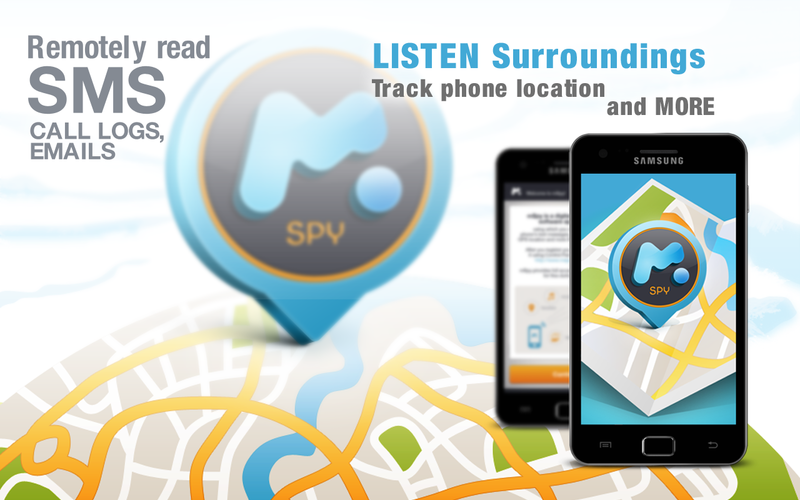 One notable feature of the MSpy is its simple user friendly interface with long list of spying features. MSpy can monitor both incoming and outgoing messages, calls, and is perfect for spying on chat apps like Whatsapp and Facebook. It is also compatible with Android, iPhone iOS, blackberry, Windows Mobile and Symbian OSes. Price: $40 – $200 (Depending on package and duration). If you are looking for another StealthGenie alternative to spy on calls, listen to surrounding noise, track someone’s location, monitor text messages, Whatsapp spy, social media spy etc, then MobiStealth deserves to make the list. One of the outstanding features of MobiStealth is its Whatsapp spy feature that allows you to monitor all outgoing and incoming Whatsapp messages. You can even get to read deleted Whatsapp messages. It is also compatible with Android, blackberry, iPhone iOS, Windows Mobile and even Symbian. Price: $20 – $200 (based on package and duration). ImobiSpy is one of the most highly recommended mobile spy app because of it’s extremely user friendly interface, extensive features and above all best in the class reliability. ImobiSpy can be used to spy on Whatsapp chats, Viber, Facebook and can also be used to access multimedia files such as photos, videos and audio files from any target phone. ImobiSpy can also track phone locations, spy on sent and received text messages, email spying, phone book access and lots more. The best part is that you only get to pay just once unlike the other mobile spy apps where you can pay again on expiration of your subscription. ImobiSpy is also compatible with android, iPhone, Blackberry, Windows Mobile and Symbian OSes. Price: $40 – $75 (Onetime fee, no reoccurring charges but features determines price). 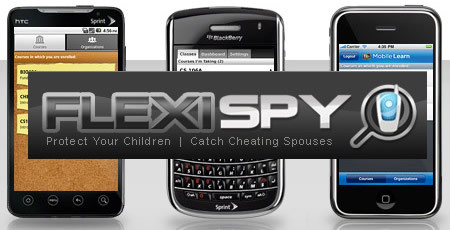 FlexiSpy is indeed an awesome mobile spy app with lots of awesome features. FlexiSpy is specialized for spying on instant messengers such as Whatsapp, Skype, Viber, WeChat, LINE, BBM and Facebook. You can also intercept calls, listen and record live phone calls as they happen, spy on text messages, listen to surrounding noise, track smartphones etc. I cannot publish a list of StealthGenie alternatives without mentioning FlexiSpy, its totally worth making my list. Price: $149 – $349 per year (Based on package). So if you are looking for the perfect mobile spy app to monitor anyone, these 5 StealthGenie alternatives can also present you with all the features you may be looking at. You can make your choice based on price, compatibility to the target phone model, the features you want and support. What do you think of these StealthGenie alternatives? Which have you tried before? If you were to recommend one which would it be? Let me hear what you have to say on the comments. I upvoted this post in kingged where it was shared for online marketers and bloggers. I haven’t tried any of those apps before but mobilespy seem to be favourite as I am already liking the name. Spying on mobile and I am obviously going to give it a try. SpyApp from spyapp.net is the only one android spy software that supports almost instant messengers spying. Thanks to share. Much helpful post ! !